This set of two wonderful Harry Potter Notebooks is perfect for organised Harry Potter fans. Whether you're making notes in class, jotting down the ingredients to your next potion, or creating a world filled with your own magical creations, these notebooks are perfect for you. 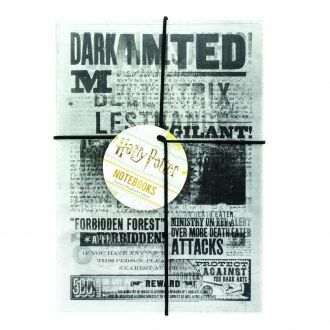 nnBoth of these notebooks contain 40 lined pages and the pack makes a wonderful gift for Harry Potter fans.